The organizations of today are deeply focused on accomplishing more while using fewer resources. 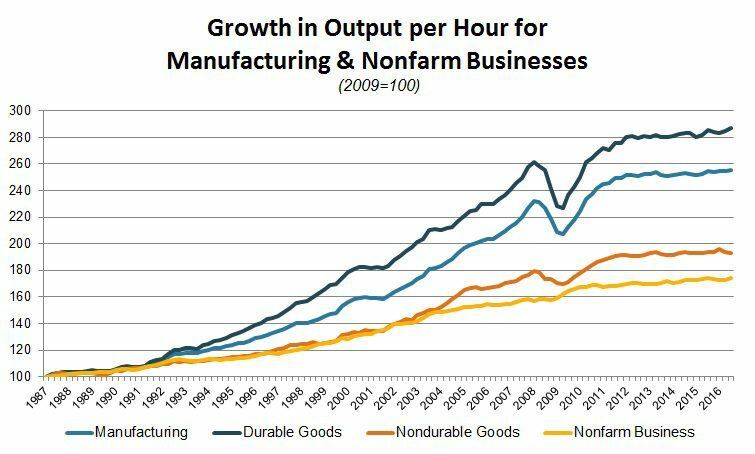 It seems everywhere we go we are looking for gains in efficiency. Miles per gallon, trees per coffee cup, lean manufacturing, and eliminating double data entry are all conversation topics common in our world. Everyone is trying to be more efficient. One of the most important metrics any company has is Employee Efficiency. People efficiency, in my opinion, is most important. How much work can your team accomplish in a given amount of time? What would a 3% raise in productivity this year mean for your organization? How about 5%? What if you could raise the productivity of your entire team by 10%? What would that mean for you? It may be possible. Let me explain. Office and manufacturing environments today are getting all kinds of features and benefits to attract employees and help productivity. Bright LED lighting systems, open floor plans, more meeting rooms than ever, skype/teleconference rooms, and more are being added to organizations all in an effort to increase productivity. In my opinion, one of the most overlooked factors in employee productivity is HVAC. What is the temperature in your office? Who decided on it? Who can adjust it, and when? Most organizations can’t answer these questions yet they should be able to. Humans are warm blooded. We are constantly regulating our own body temperature. We balance all kinds of factors, internal and external, to achieve a level of thermostatic control on our core body temperature that is really remarkable. The harder our systems work on regulating body temperature, the less we can use them for anything else. 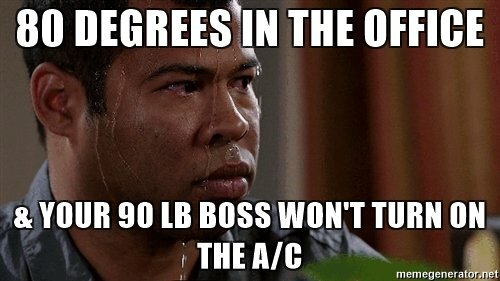 If we are in a room that is 120 degrees, dripping sweat from our chins, there is no way we will be efficient. Same thing goes for being in a room that is -10 degrees. This is a pretty simple concept. Here’s the big question: What temperature is the most efficient, and how much of a difference does it really make? How do you make the most efficient work place possible, in terms of temperature? I’m glad you asked. According to scientific studies, the most efficient temperature for humans to complete work is 71.6 degrees. 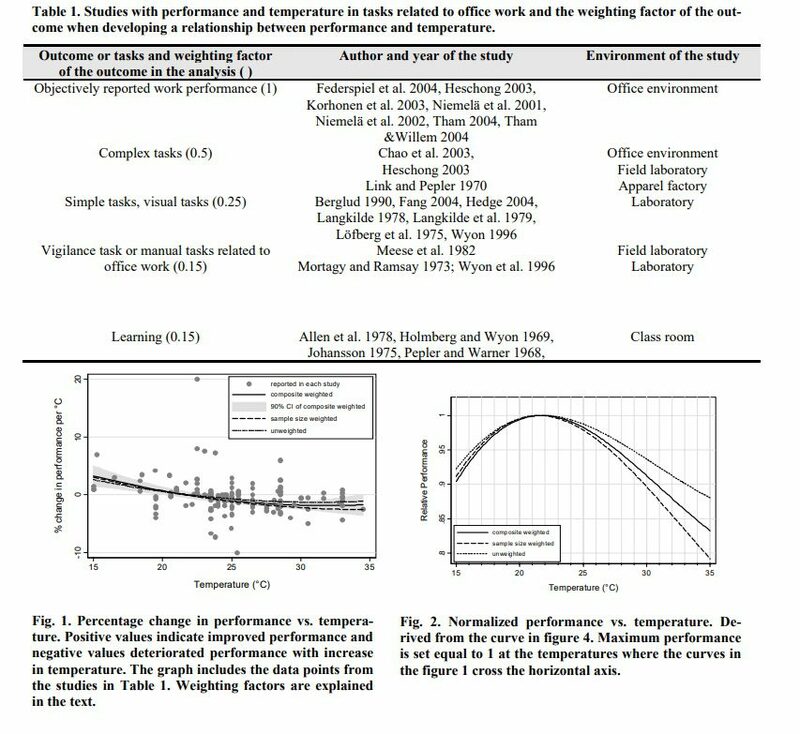 This same study found a reduction in performance of 8.9% when the temperature raised a little over 10 degrees. Let that sink in. Almost 10%. This study took place in office environments, field laboratories, apparel factories, and class rooms. This study found almost 10% productivity increases in office AND manufacturing spaces when controlling temperature to 71.6 degrees. 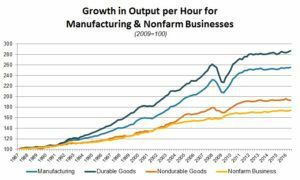 So why is your manufacturing space not heated and cooled? Why does your staff set the temperature in the office to 78 degrees or 68 degrees? Are those things really hurting your productivity?